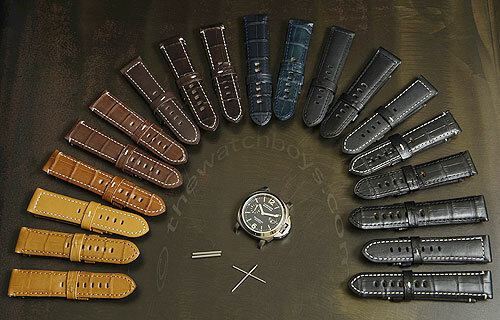 26mm : The Watch Boys, Providing quality products for watch collectors! Our 26mm Panerai® style watch straps are designed to fit your 47mm Panerai® Luminor® case (1950) OR your 45mm and 47mm Radiomir® cases. These watch straps are available in 3 different styles. Tang buckle: which is designed to receive an ardillon (or tang) buckle. Deployant buckle: which is specifically designed to fit the 22mm Panerai® OEM deployant buckle (not a generic deployant buckle). And lastly, our own version of the Pre-V Historic (Vintage Style) strap.